We're nearly to March, which means it is my duty to inform you, dear Friday Night Magic player, what promos we have coming to stores near you in the coming months. Let's start with the most recent and work forward, shall we? Because that's how time works. Zada smash! 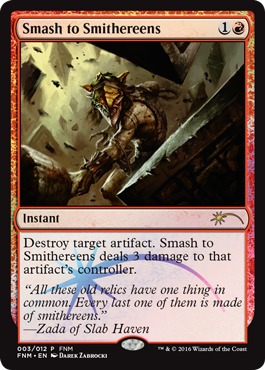 Get the smashiest of artifact-destruction spells and march all over your artifact-laden opponents with this promo Smash to Smithereens featuring new art from Darek Zabrocki. April showers bring...eww. Planar flesh peeling? That's nasty. I want one. 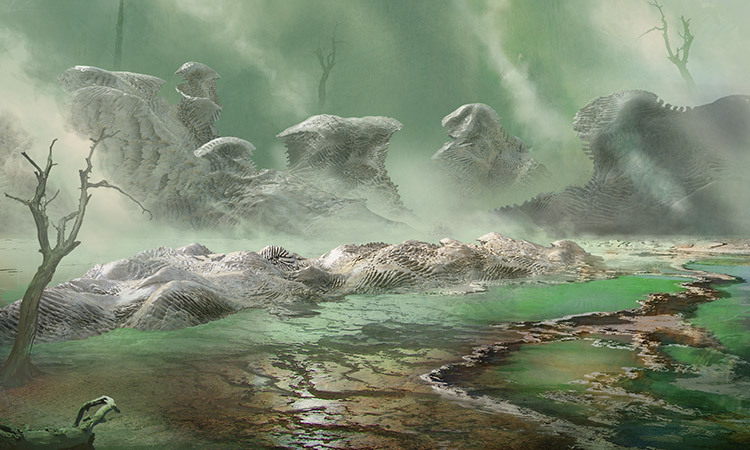 If you play in an FNM in April, you could pick up a Blighted Fen with art by Jason Felix and the newfangled colorless mana symbol. That's a win for fans of the Eldrazi and of Jason Felix! 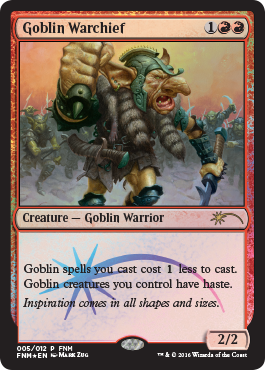 Fun fact: Mark Zug had only ever painted one Goblin before in his illustrious Magic career: Ponyback Brigade. 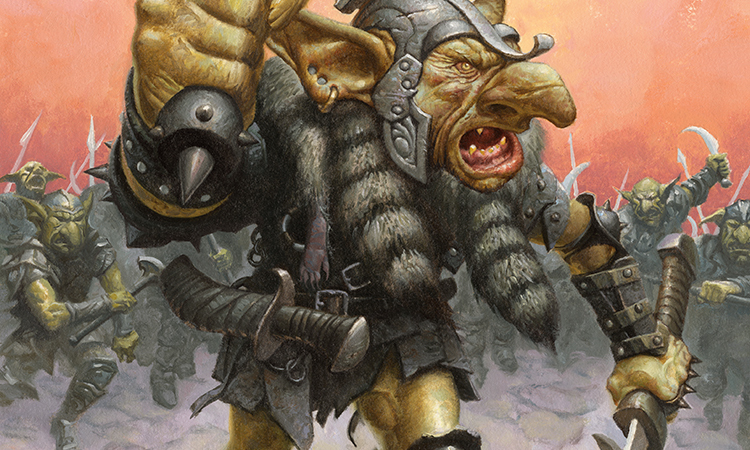 For May's FNM promo, however, Zug has put his spin on maybe the Goblin—Goblin Warchief. 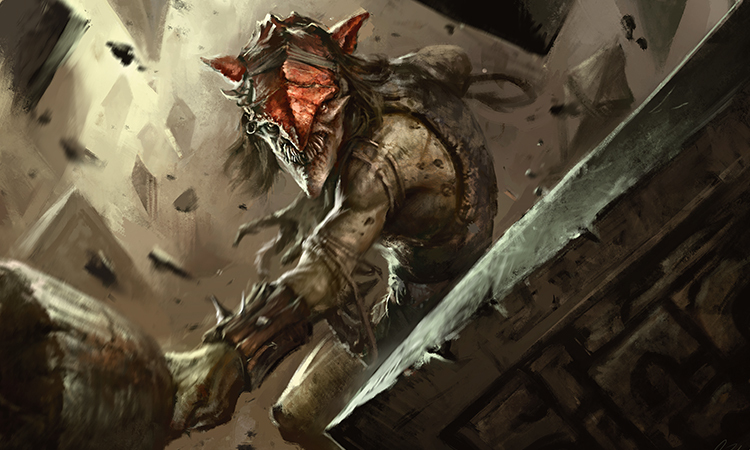 Truly a terror when it was in Standard, Warchief can now terrorize even more tabletops after May positively rains Zug's new vision of the Warchief on FNMs everywhere.